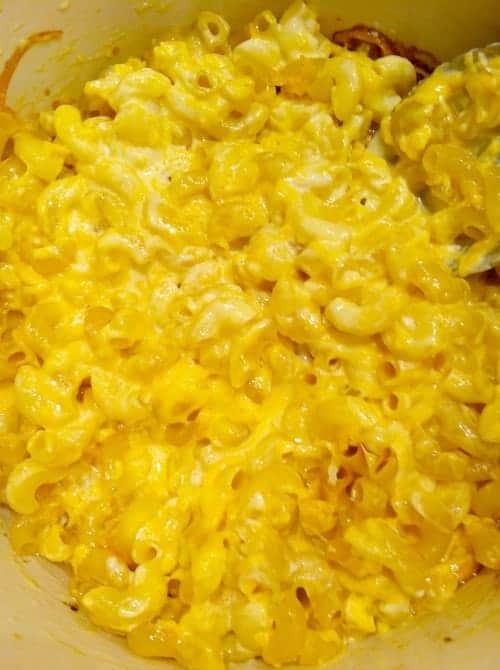 This crockpot macaroni and cheese is made without having to boil the macaroni. So good and so easy! Hello Friends! I hope you are having a wonderful week! Today we are sharing a post that we get lots of requests for so we are publishing it once more. 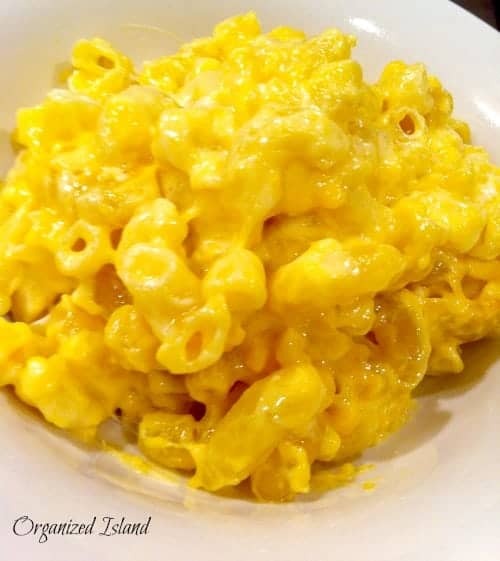 This macaroni and cheese recipe can be made very easily. You do not need to precook the pasta, just toss everything into the slow cooker. Simple and time-saving which are two of my favorite things! I love this easy crock pot recipe, because I can just throw everything into the pot and let it go. 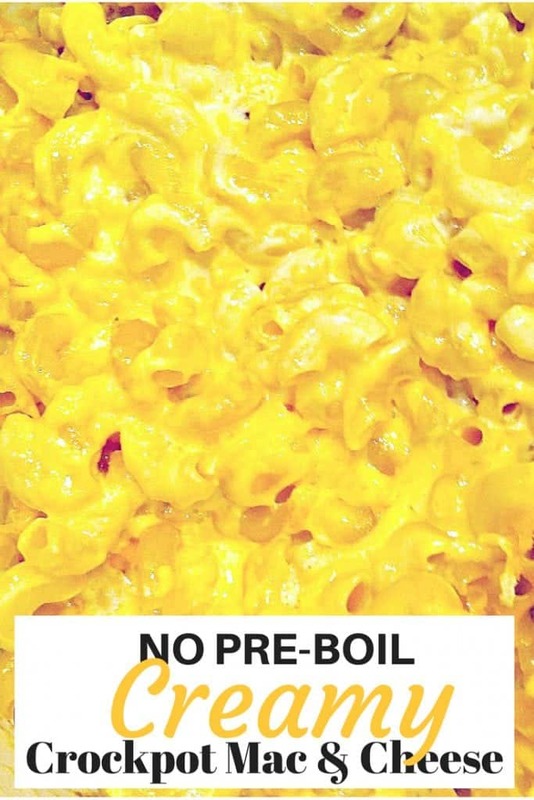 There is absolutely no need to pre-boil the pasta. Cook on low and it will be ready before you know it. Be sure to stir it up before serving. It is so rich and creamy and super easy! How easy is that? It is so delicious too! Lightly oil sides and bottom of slow cooker. Place all ingredients into a crockpot or slow cooker and stir so that the cheese is not just sitting on top of the pasta. Cook on low heat for 2 hours. That’s it. Be sure to stir it up before serving. It is so rich and creamy and super easy! Delicious. I mean, almost too hard to look at the photos. Hope Christy feels better fast! 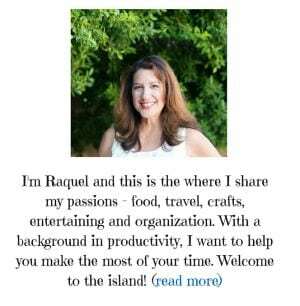 Raquel, This is a great recipe that my pre-teen can make for us. She is introducing herself to the kitchen and loves to surprise us on weekends with breakfast. I think is time she started working on some lunch. Great and easy recipe, thanks! Also thanks for being a part of this virtual potluck for Christy. It’s been great meeting you and other wonderful bloggers. Hugs! Thanks Wanda, it is super simple and can be embellished with different types of cheeses. So nice to connect with you here! PS…I just noticed you’re in OC…so am I!! Are you KIDDING me?!?! You don’t need to precook the pasta?!?! I am ABSOLUTELY trying this…I always find the ‘cook the pasta according to package directions’ step to be so annoying (don’t know why, because it really isn’t all that hard to do! ), but for a busy mom, every step that can be skipped saves precious time! Love love love this! Pinning! Thank you Kristen for your sweet comments. Let me know if you try it. 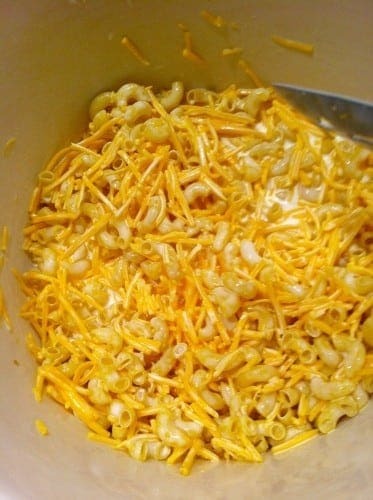 You can also add different cheeses to mix it up a bit. 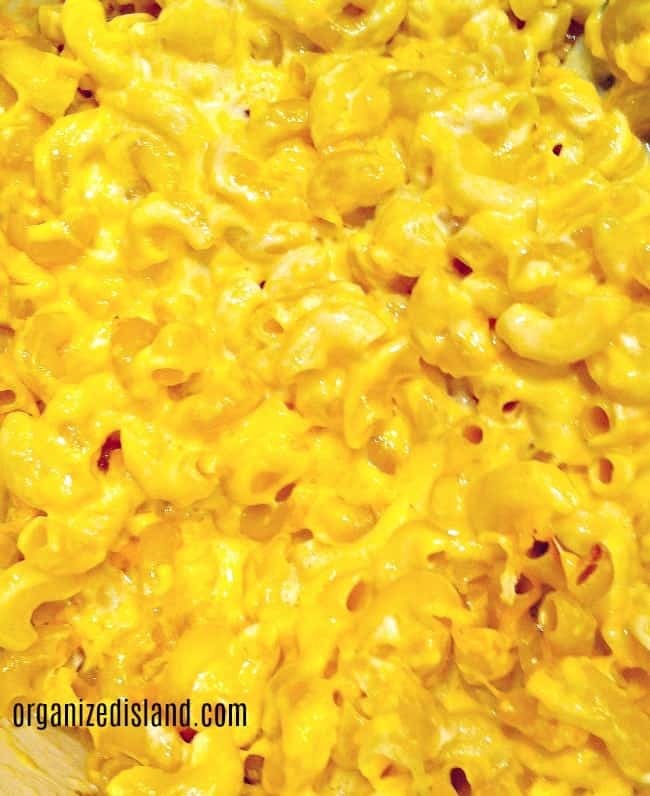 Love a good batch of macaroni and cheese! The potluck is such a sweet idea! 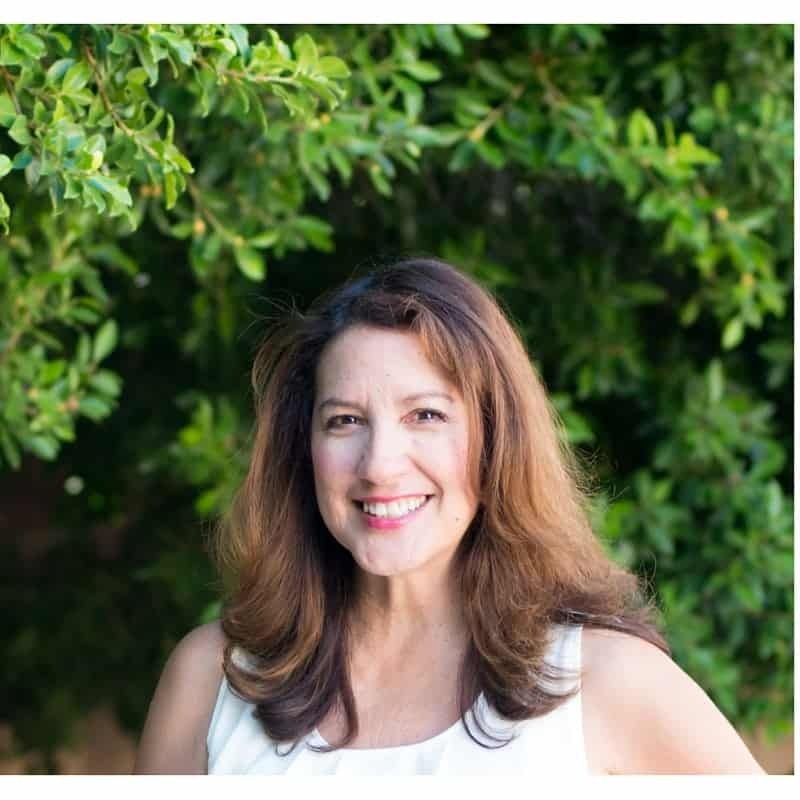 I’ve found so many other awesome bloggers after finding Christy’s site and I love the support you give each other. This looks so good!!! This would make an awesome reunion dish for my southern traditional-eating family. I’m more of an experimental cook so sometimes I have a hard time thinking simple. I might make this for a halloween party this year as well! Especially if I could find some cool halloween-y shaped pasta. Do you know if this freezes well? Thank you for the awesome recipe. I’ll subscribe to your blog now. Thank you Ginny! It’s really tasty! I love that the pasta doesn’t have to be precooked. 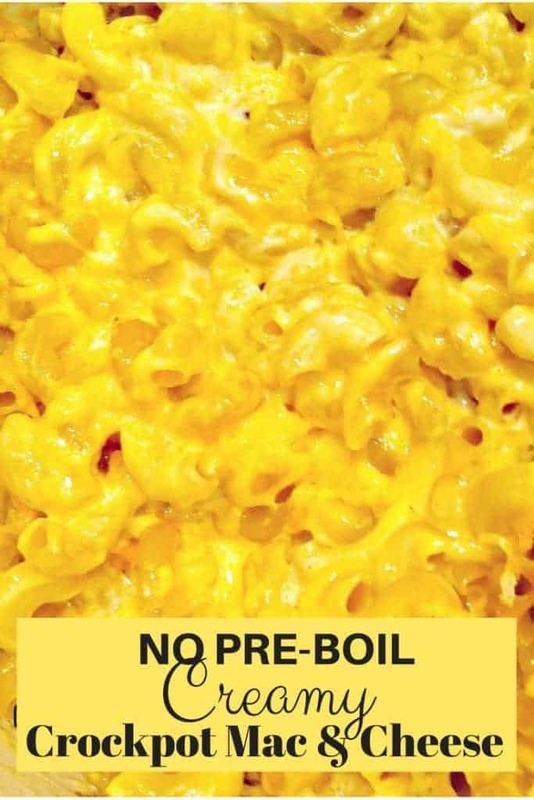 I don’t understand recipes that I basically make the mac & cheese and heat it in the slow cooker. Doesn’t really save much time. This looks great! Thanks Stephanie. I agree! Thanks for stopping by! 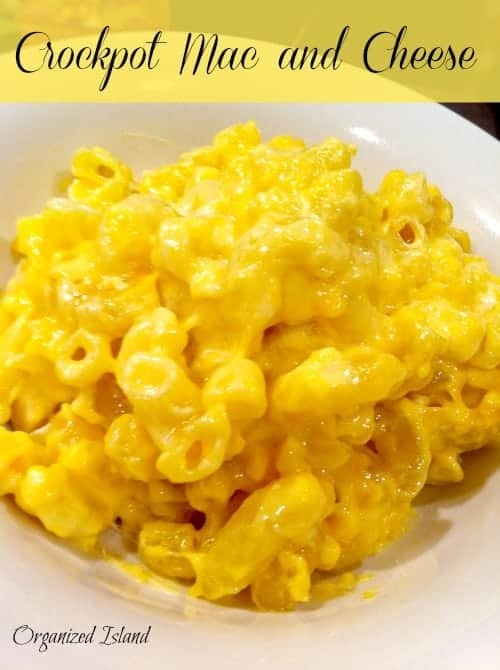 This might be the easiest recipe for mac and cheese I’ve ever seen and it looks delish! It is really simple Susan. Thanks for stopping by! Thank you Robin! It was fun and nice to be a part of it! Enjoy your weekend!